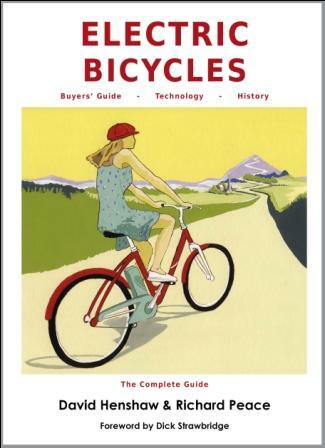 We stock all Sustrans cycle maps. 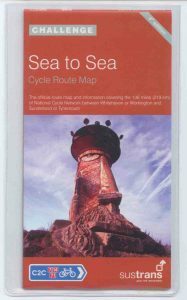 These include maps for long-distance routes such as the C2C (Sea to Sea) route and Hadrian’s Way cycle route, as well as their pocket-sized cycle maps that cover the whole of Britain and Northern Ireland. You can find the full range of Sustrans cycle maps by clicking here, although to find a specific map or route, it might be easier to click on the map below which will show you all the map options (Sustrans and other map producers). Sustrans is a charitable trust who are allocated public money to create and maintain cycle routes across the country. 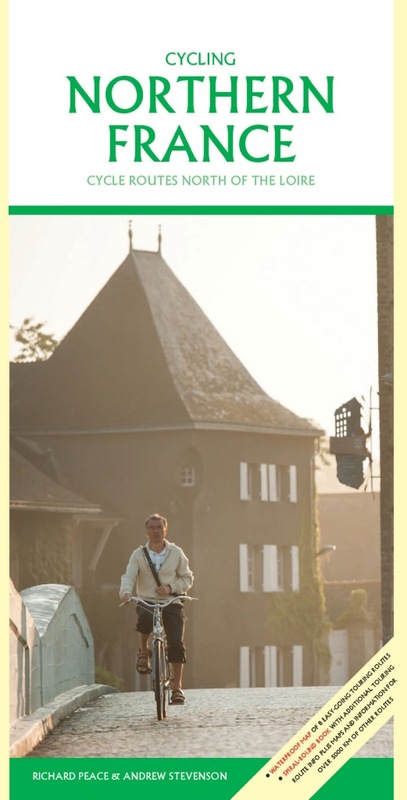 They have been doing this successfully for many years now and have created way-marked signage for thousands of miles of cycle routes, plus maintaining a large system of off-road cycleways. Volunteers help maintain local stretches of routes. They also have a commercial arm selling cycle gear and maps. The Sustrans maps are produced for them by map-making companies and are available to independent businesses such as ourselves for sale alongside maps and guide books from a wider range of publishers. What are the ranges of cycle maps from Sustrans? 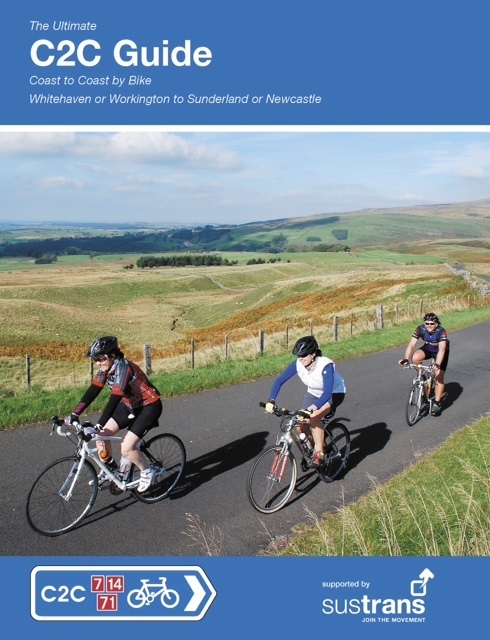 Sustrans are most well-known for their long-distance cycle route maps, one of the first being for the C2C cycle route from Whitehaven and Workington on the Irish Sea to Tynemouth and Sunderland on the North Sea. The long-distance maps work on a strip basis, showing the route with kilometre markers from the start. They show contours well and mark difficult junctions with main roads. Sustrans are in the process of replacing many of the (brown cover) waterproof maps using lighter weight (blue cover) water-resistant paper. They are also extending the number of theses maps, eg with the South Coast West and South Coast East maps, the Pennine Cycleway and The Varsity Way being recent additions. 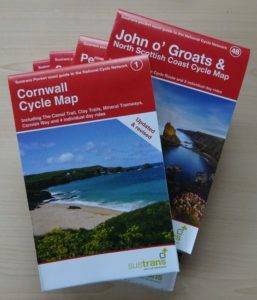 The range of pocket-sized maps now covers the whole of the country from the Cornwall Sustrans map to the Sustrans John O’Groats map and from Kent to all the Northern Ireland Sustrans maps. The maps are again on lightweight water-resistant paper, though as they reprint they are using heavier weight paper (which explains the price differences you will see between maps that otherwise look very similar). 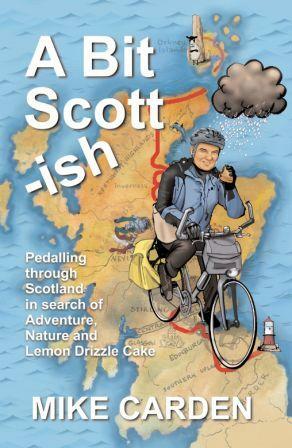 Are there Sustrans guide books? 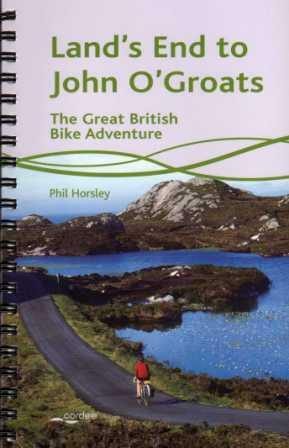 There are a small number of Sustrans guide books, but by means for all routes. 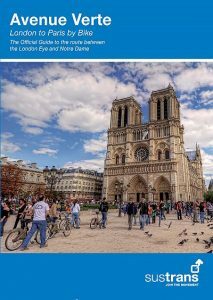 Recent ones include a guide book showing how to use Sustrans cycle routes to cycle from Land’s End to John O’Groats and a London to Paris cycle guide book – the Avenue Verte. Do Sustrans have maps for all the long-distance cycle routes? Not quite. For some reason, the excellent Reivers Route is not a Sustrans map (it’s a very good map and route though). Nor is the newer Scottish C2C, which can be followed with just the guide book – there is no separate map. If you have seen brown cycle route signs saying National Byway, these are again not linked to Sustrans, but are routes designed to link heritage sites. Supposing I want to look at other maps covering the same areas? Goldeneye produce very good maps covering areas like Cornwall, Norfolk, Kent, Hampshire and the North York Moors. Harvey Maps don’t do many cycle maps, but the ones they do (Yorkshire Dales and Dartmoor) are very good. Then there are the Ordnance Survey Tour maps, again of tourist destinations. These are very large maps – a bit unwieldy really – but are good for touring. I have used them for tours of the Lake District and Devon. 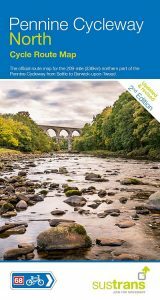 There are also cycle guide books that can replace maps for set routes, eg produced by Cicerone (eg in the Yorkshire Dales and the Lake District) and Excellent Books (eg the C2C and the Devon Coast to Coast cycle routes).